Stage Rush is a multimedia features site for Broadway and New York theater. With a focus on the lesser-known faces of Broadway and through the use of video, Stage Rush aims to bring the stories and faces of theater’s underdogs to its readers. Stage Rush readers (or Rushers) are theater fans who feel a surge of adrenaline and excitement when they experience Broadway. Rushers are interested in learning about the cogs in the machine that make Broadway function. They are savvy theatergoers who are interested in classical and contemporary plays and musicals. Rushers are also keen to enjoy Broadway on a budget, out to snap up a great discount to some of its best offerings. Stage Rush is a community for these fans to connect through the art that they love. Jesse North is the founder and editor of Stage Rush. He is the Web Content Manager at 92nd Street Y. 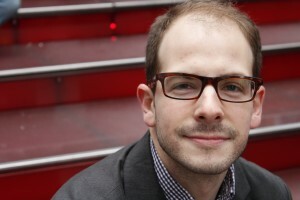 He previously served as the National Editor of Broadway.com. Additionally, his work has been published in The New York Times, Entertainment Weekly, People, Time Out New York, Best Life, amNewYork, BizBash, and J-14. Jesse’s favorite musicals are Spring Awakening, Passing Strange, and Next to Normal. He secretly hopes to be cast in a non-age-specific revival of Spring Awakening.